You can press the fire button to exit out of a screen that doesn't have a back button. LED colors styled to the theme. When you change the material of a profile (eg. from Watts to SS316L) you won't have the appropriate toggles (eg. Temp Control, Replay) activated right away. You need to back out of the Atomizer Profile screen, fire the mod and go back into the Atomizer Profile screen. This is an Evolv/Theme Designer issue. In the Atomizer Profile screen you can adjust the Pre-heat temperature either via a Punch gauge or via a Temperature field. You can switch between them with the new toggle next to the Pre-heat label. This one is a pretty big update that adds some new features. I strongly recommend updating. 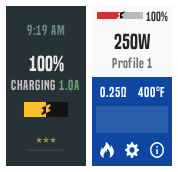 Various USB connection statuses, like Charging/Discharging/USB Data are now displayed along with charging current where applicable. When your battery level is below 30% the battery percentage field will change color from white to pale red. It'll also display the current battery pack voltage. You can now enable/disable Temp Control and Replay right from the Atomizer Profile screen, along with Pre-heat and Boost. Other than defining materials you don't really need to Escribe to edit your profiles anymore. You can adjust the Pre-heat temperature either via a Punch gauge or via a Temperature field. You can switch between them with the new toggle next to the Pre-heat label. Atomizer lock feature is now available in all types of profiles. Previously it was only available in TC profiles. This decision was made because EScribe lets you lock resistance in any profile, and sometimes it's necessary to lock the resistance in mods with a spotty 510 connection. Note: When you change the material of a profile (eg. from Watts to SS316L) you won't have the appropriate toggles (eg. Temp Control, Replay) activated right away. 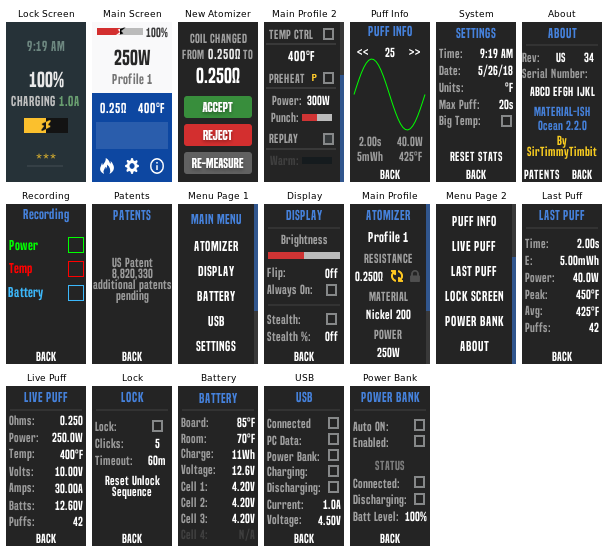 You need to back out of the Atomizer Profile screen, fire the mod and go back into the Atomizer Profile screen. This is an Evolv/Theme Designer issue. Previously the Power bank screen had some toggles incorrectly set as read only. They're fixed now. A red toggle status is read only, yellow is enabled and blank with a white outline means disabled. The theme now has a slightly better contrast. I'll continue to work on this in the future. 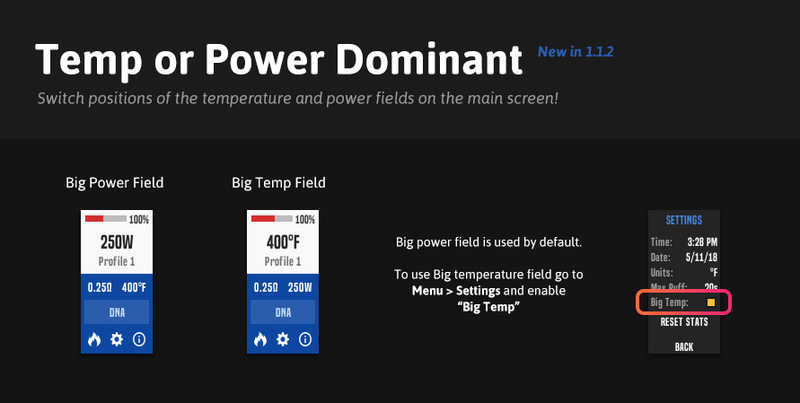 You can now interchange the temperature and power field on the main screen. Go to Menu > Settings and enable "Big Temp"
Resistance wasn't updating to show the current resistance as you fire. It's fixed now. 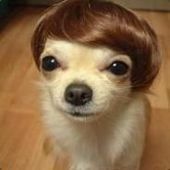 Removed all instances of temp adjustment on replay profiles. On replay profiles the middle right field on the main screen now shows puff time on replay profiles until you hit save. 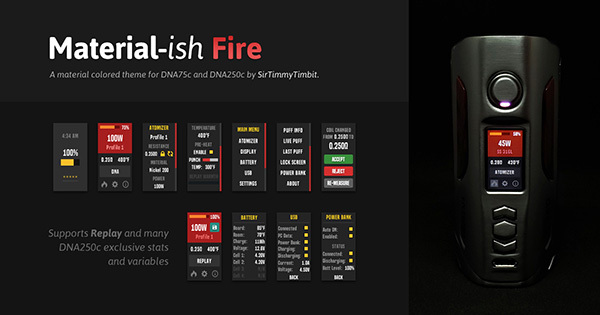 DNA75c now supports replay with the new international firmware 1.1 SP33.2 INT. As such I no longer need to maintain two separate versions of the theme. 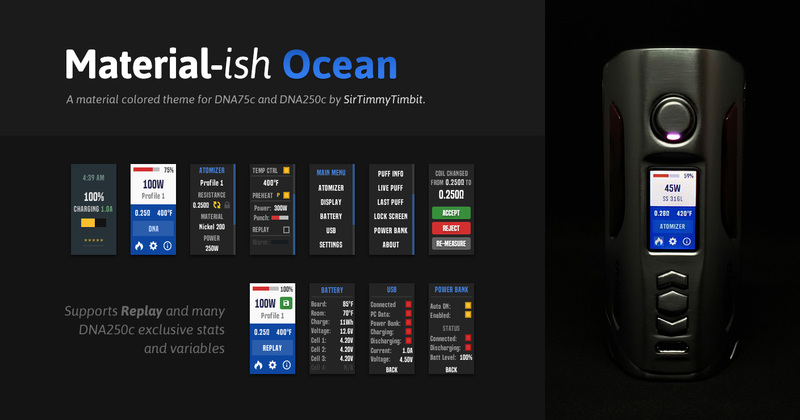 You can flash the same Material-ish Ocean 1.1.0 theme file on both DNA250c and DNA75c. You have to have 1.1 SP33.2 INT firmware flashed on your DNA75c device for this theme to work. Resistance lock status icons have been changed once again. Resistance locking from the atomizer screen now functions similar to the lock icons in the Gauges theme. Sorry to have made so many changes to this. Last puff and Live Puff screens now shows the puff counter. Previously the main screen linked to the Live Puff screen. Now it links to the Last Puff screen. Now this is my favorite theme! Thank you very much! Very clean, easy to find, with all the bells & whistles. Beautiful theme! I had been searching for a very long time for a theme that fit my style and this one is the winner by a long shot. Keep up the fantastic work! Clean, easy to find and set options. Fonts and overall look and design are professional.